When I first started working at TentCraft over a year ago, I didn't think my new employer could get any cooler. We played Ping-Pong on our breaks, sculpted with Playdoh during creative brainstorms, and cracked cold ones on Friday afternoons. Some time later, we started TentCraft Outdoor, an internal program that gives employees the chance to rent paddleboards, kayaks, and snowshoes free of charge their northern Michigan excursions, because health, wellness, and the great outdoors are three of our favorite things. It seemed as though I had found my match. And in an office that embraces "fun and a little weirdness", I was certain I had discovered the company with the best culture in all of Traverse City. It couldn't get any better than this. TentCraft recently adopted a CSA (Community Supported Agriculture) Employee Wellness Program, which is an initiative that supports local farms by giving businesses and their employees the opportunity to buy fresh, seasonal fruits and vegetables directly from the farmer. Interested community members or organizations sign up for a share of a participating farm's harvest and, prior to the growing season, make a payment to support their assigned farm and preserve their share for the summer months. We're partnering with local food marketing agency, Taste the Local Difference (TLD), who will facilitate our CSA program. TLD's mission is to "help food businesses and the communities they serve benefit from the economic value of local food, while ensuring that fresh, healthy, local food is available to everyone." 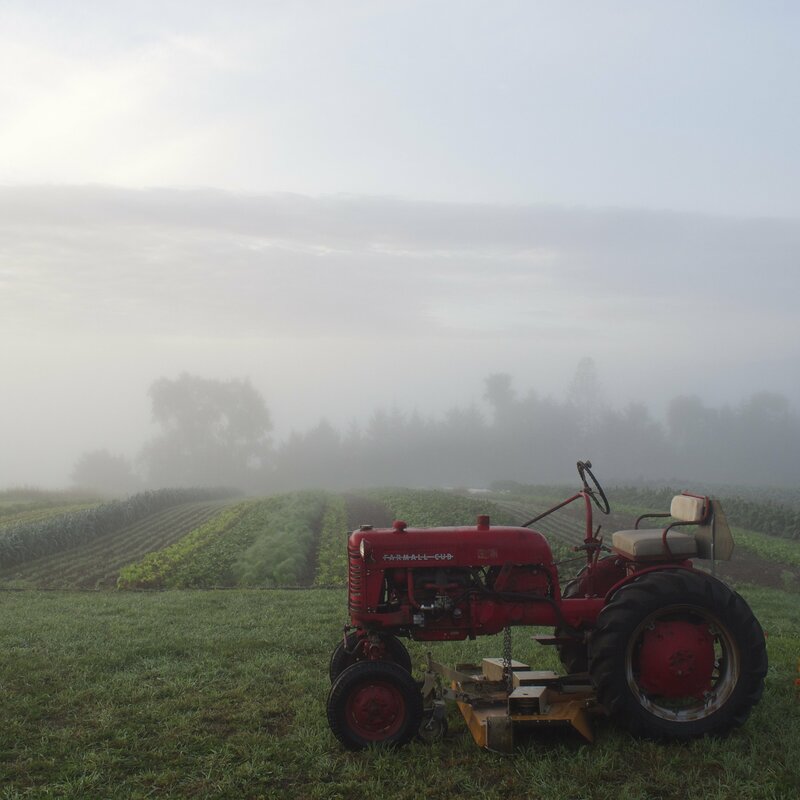 It's a mission that runs near and dear to our TentCraft heart, and we're thrilled about the opportunity to support our agricultural economy while filling our dinner plates with wholesome, farm-fresh veggies. Part of TLD's promise involves pairing participating businesses with one carefully selected local farm. 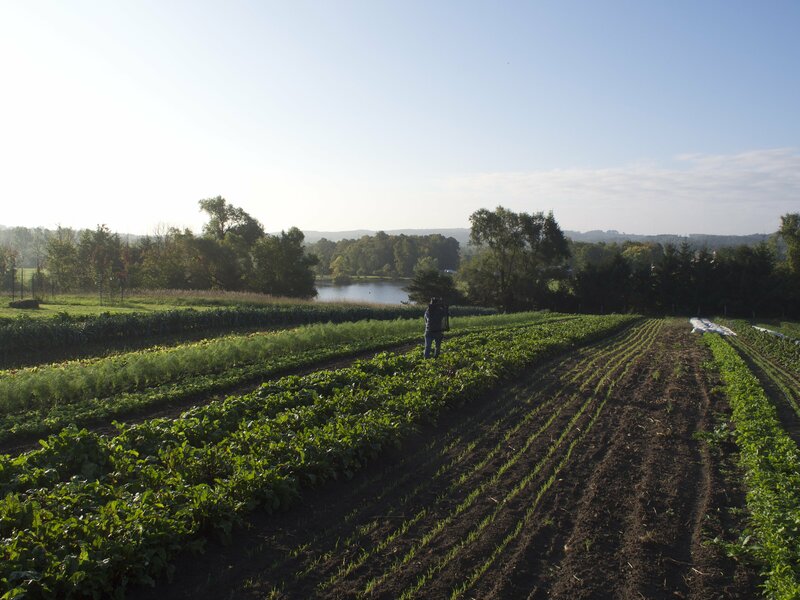 Based on our company size, employee interest, and employee feedback surveys, TLD paired us with Loma Farm, a 13-acre farm just eight miles outside of Traverse City. They produce flowers and "extra fancy vegetables", and they host specialty events and happy hour soirees for its members. If there's such a thing as farm soul mates, Loma Farm is definitely ours. Beginning in early June, Loma Farm will deliver shares (boxes) of 7-10 vegetables hand-selected from over 30 distinct crop varieties for TentCraft employees to take home to their families. Loma Farm is offering two different sizing options, one for a two-person family at $17.50/share and another for a four-person family at $25.00/share. Shares will be delivered to our office every week until late October. The icing on the cake? Loma Farm owner, Nic, writes a weekly newsletter featuring recipes, culinary discussions, and farm updates that will accompany every share. So when obscure veggies like sorrel and Romanesco broccoli show up in our boxes, farmer Nic will provide some tips on how to cook or sautuee or roast or do whatever it is you're supposed to do with sorrel and Romanesco broccoli. When you live in a region surrounded by rolling farms and rich soil, and work in a community that embraces agricultural and economic growth, participating in a CSA Employee Wellness Program makes a ton of sense. And it's another small reminder that working for a company that values their employee's health and supports their local community is something to be proud of. Hats off to you, TLD, for paving the path to a more sustainable future. TentCraft is happy to be a part of this revolutionary movement. Bring on the farm fresh veggies!